Dr. Curt Daly is a board-certified specialist in small animal surgery and a Diplomate of the American College of Veterinary Surgery. Dr. Daly performs advanced thoracic, abdominal, orthopedic and spinal surgery, including cancer surgery and limb salvage and reconstruction. Dr. Daly offers minimally invasive surgery, such as arthroscopy to evaluate and treat various joint conditions. In addition, he also performs thoracoscopy, laparoscopy, and cystoscopy. Dr. Daly received his Doctor of Veterinary Medicine degree from Washington State University in 1999, and completed an internship in small animal medicine and surgery in 2000 and an internship in surgical oncology in 2001 at the University of Illinois. He completed his small animal surgical residency at Tufts University in 2004. 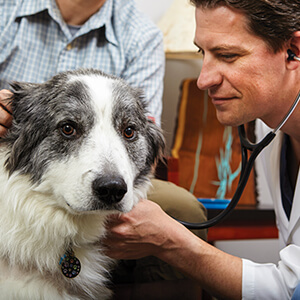 Guided by our philosophy of teamwork, compassionate care and collaboration, we provide the best care for your pet by keeping you and your family veterinarian informed of our findings and treatment options to restore your pet’s quality of life. © Copyright 2019 - Springfield, OR - Oregon Veterinary Referral Associates. Veterinary Marketing powered by iVET360.